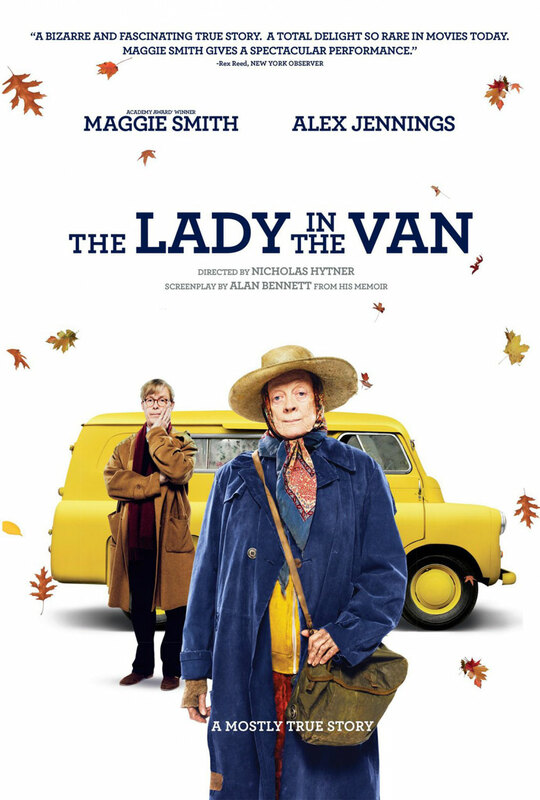 Bringing Alan Bennet’s largely autobiographical stage play of the same name to the screen, The Lady in the Van recounts the “mostly true” story of Miss Shephard (Maggie Smith), an eccentric senior who lives in the back of a beat up old van. The old vehicle ends parked in the suburban London driveway of the struggling writer (Alex Jennings), and a sort of mutual respect starts to form between the playwright and transient old woman over the fifteen years that the story spans. But as more details of her mysterious and tragic backstory slowly come to be revealed, Miss Shephard grows increasingly erratic and paranoid. Maggie Smith carries the film with a flat-out brilliant performance, transforming into her role through a feeble walk and tattered wardrobe. She commands the screen in her portrayal of both the outwardly quirky qualities of her character, and the underlying emotional pain and mental illness of this deeply broken woman. As the film starts to reveal more of the character’s past, her performance becomes gutting to watch. This is among the veteran actress’s finest work, a showstopping and unforgettable turn that is reason enough to seek out The Lady in the Van. Because of this, it’s almost just an added bonus that the film around her manages to be darkly funny and quietly moving, with some beautifully worded passages and a tone that is successful in its ambitions to both entertain us and break our hearts. A small gem.